Printed Red ,White & Black with the wording "Clearance". 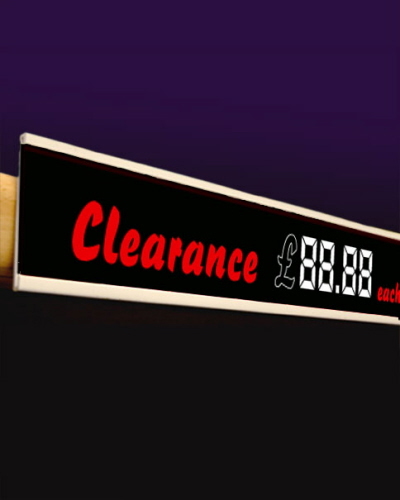 Perfect for your Instore Promotions where you need a standard shelf edge that you can mark up with individual prices. For orders over 2000 Clearance Shelf Edge Strips please contact us for a quote. Also available in bespoke sizes, colours and with adhesive backing upon quotation request.